The analysis of plants, insects, soil and other particulates from scenes of crime can be vital in proving or excluding contact between a suspect and a scene, targeting search areas, and establishing a time and place of death. 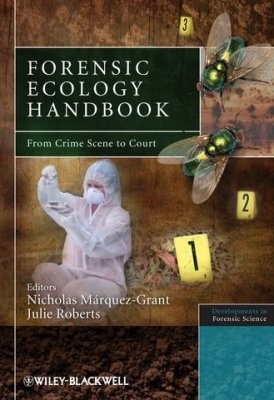 Forensic Ecology provides a complete handbook covering all aspects of forensic ecology. Bringing together the forensic applications of anthropology, archaeology, entomology, palynology and sedimentology in one volume, this book provides an essential resource for practitioners in the field of forensic science, whether crime scene investigators, forensic science students or academics involved in the recovery and analysis of evidence from crime scenes. Forensic Ecology provides information not only on the search, location, recovery and analysis of evidence, but includes sampling strategies for diatom analysis, pollen and soils samples and entomology and provides guides for good practice. Each chapter provides background information on each discipline and is structured according to pre-scene attendance (what questions should the scientist ask when receiving a call? What sort of preparation is required? ), scene attendance (including protocols at the scene, sampling strategies, recording), scientific examination of analysis of the evidence up to the stages and guidelines for witness statement and presenting evidence in court. The book is written by specialists in all fields with a wealth of experience who are current forensic practitioners around the world. It provides an essential and accessible resource for students, academics, forensic practitioners and police officers in the UK and abroad.